In his latest blog for PakPassion.net, Yasir Arafat writes about Pakistan's outstanding performance in the recently concluded T20I Tri-Series in Zimbabwe, Fakhar Zaman's selfless style of cricket, Shaheen Shah Afridi's impressive performance, Glenn Maxwell's apology to Sarfaraz Ahmed for his unsportsmanlike behaviour and why India are the only team that can challenge Pakistan in T20Is. Like all others who witnessed the Pakistani triumph in the triangular series, I was very impressed by the manner in which this team went about its business. At the start of the tri-series, there was little doubt that Pakistan would have no problems tackling Zimbabwe but what really demonstrated Pakistan's class was the confident way in which they took on Australia. They lost their first game against Australia by 9 wickets but calmly came back to win all other games against the same opposition with minimum fuss. To me the mark of a great team is how they recover from a setback and what Pakistan showed in the tri-series was a resolve that ordinary teams could not have shown, especially after the mauling they received from Australia in the first game between the sides. They may have had a horrible tour of England but make no mistake, Australia is not the team that will give the opposition a second chance especially if they have defeated them once so for Pakistan to come back from a defeat and to beat Australia twice clearly shows that they are team that is not to be taken lightly by any opposition and they played like a true number one team in the tri-series. The fact that the Pakistani batting remains its biggest weakness is not breaking news anymore as this has been the case for a while. However, what is the most satisfying aspect of their cricket is that apart from their obvious strength in the bowling department, the standard of fielding has really improved tremendously which has given that extra edge to Pakistan. The work that Steve Rixon did with this young Pakistan team seems to be paying dividends as we saw in the example of that athletic catch by Shadab Khan in the final of the tri-series. Whilst we have struggled in our batting department, I am delighted to say that there are some names in the Pakistan line-up who are offering us glimpses of a very bright future in this department of the game. Let me start with Fakhar Zaman and say that he is a big-match player who has the ability to win games for his country and is a selfless individual with the X factor and who plays for his side rather than himself as we saw many times in the Champions Trophy, last year. This is something inexperienced players can be guilty of when trying to cement a place in the team. Fakhar is now the number 2 ranked T20I batsmen in the world and there is no doubt in my mind that given his form and desire to succeed, he will also become the number one batsman in the near future. The other batsman who impressed me was Asif Ali who played, what I would describe as, a few match-turning innings where he came in towards the end and scored at a very high strike-rate. Such innings can change the complexion of a game and his presence is a great plus for the Pakistan side. 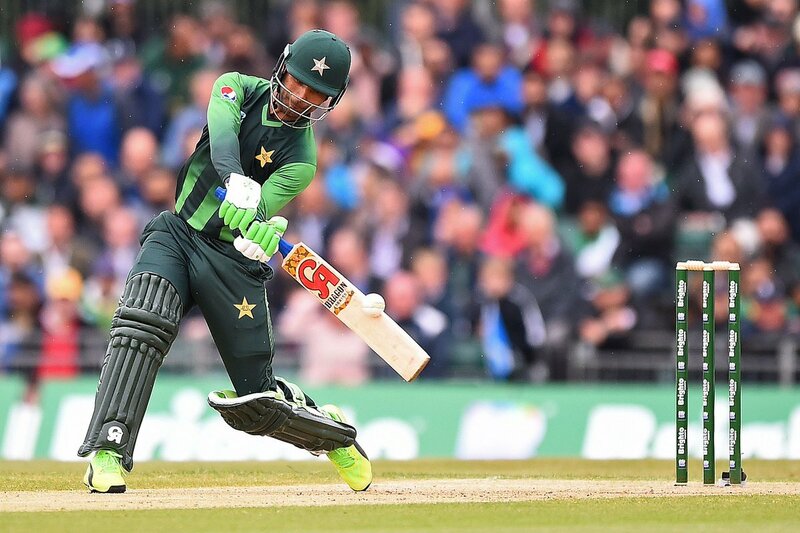 The younger players are doing a great job for the Pakistan side, but one cannot underestimate the role of someone like Shoaib Malik who seems to be playing each innings with so much passion that it appears that it is his last innings. He has already expressed a desire to play the next World Cup and seems to be displaying all the qualities that will make that wish a reality. In doing so, not only will he be helping himself, but he will also be taking his side, Pakistan, to greater heights. The 18-year-old Shaheen Shah Afridi was fantastic to watch in the way he took on the Australian batsmen recently. For his elevation from a gifted young talent to a good quality pace option for Pakistan, I would give the credit completely to the Pakistan Super League. When young players play alongside top quality international players in a high-intensity competition like PSL, then the results of that exposure are obvious as in the case of Shaheen Shah Afridi’s excellent recent performance. If we recall, he had been marked for a place in the Pakistan team during the time he was playing for the Pakistan Under 19 side, but it was then said that it would take a good 2-3 years before he could be seen in the Pakistan senior team. But, just one stint at the PSL took his career to another level as we saw recently in Zimbabwe. Whilst he may be a good T20I prospect, the fact is that he still has some work to do at the domestic level before he can gain a place in the ODI or Test squads. A lot of discussions have taken place on the amount of cricket Mohammad Amir should play for Pakistan to preserve his fitness and it seemed that the Pakistan management had some plans about this during the tri-series as he played only 3 out of the 5 games. What is key here is that he still emerged as the highest wicket-taker for Pakistan with 5 wickets which speaks volumes about his importance for this side. His fitness was fine and his follow-through indicated someone who is at the top of his game. By all means we should think of preserving Amir as much as we can, but I am a firm believer that such preservation should be limited to domestic cricket, T20 leagues and county games and he should play all international games for Pakistan. A fast-bowler should be playing all the games he can during his peak years and should not be resting through this crucial time of his career. Hasan Ali seems to be a victim of his own initial success whereby people feel that he will take a whole bunch of wickets and then perform his trademark celebration in every game he plays. Everyone who has watched and played cricket will know that players have good and bad games from time to time. As a player who has been through such periods myself, I will never criticise a fellow player for this reason as I know that you have ups and downs throughout your career. Only a few players have the ability to perform at that elevated level in every game and those people wondering if Hasan Ali’s wonder days are over should think twice before making such judgements about a talented player like him. We have many examples in the Indian and Australian teams of players who are great one day, and ordinary the next time they take the field, so Hasan Ali is no exception and he needs all the help and support he needs to get through this period. Sahbizada Farhan has done well in the PSL and comes with a good record in this format of the game. He was a little unlucky that he was asked to debut in a high-pressure final and lost his wicket in an unfortunate manner. He was possibly expecting to face a fast-bowler as an opener and wasn’t prepared to face a spinner in that game, but it's all part of the game and you cannot expect every debutant to play a match-winning knock. What I am sure about is that Sahibzada Farhan is an excellent find for Pakistan and we need to persist with him. There is a general belief that our opening batting is weak, so what we need to do now is to give Sahibzada Farhan confidence to become the ideal partner for Fakhar Zaman at the top of the innings. He seems to be the best choice for the openers slot in this format and he should be given more opportunities to develop himself. I am confident that this attacking left-right-hand combination has the potential to serve Pakistan for a long time in the future. I was shocked by what I saw in the video regarding the Glenn Maxwell-Sarfaraz Ahmed incident at the end of the tri-series final. Given the recent embarrassing events connected with the Australian team, this sort of behaviour is the last thing they would want from any of their players. I have played under the captaincy of Justin Langer and I can tell you that he is not the type of person who would like to see such an incident happen under his watch and will not tolerate it. I feel that the Maxwell apology may well be due to Langer’s insistence that whatever happens during play should not be allowed to interfere with acts of sportsmanship once the game has ended. I am convinced that Justin Langer would have taken serious notice of this issue and will not allow it to happen again. Whilst it's pleasing to note that Pakistan at the end of this tri-series are still holding the number one spot in ICC’s T20I rankings, one cannot ignore the fact that there are other good teams in the world as well. The Indian team which defeated England recently as well as the Australian side which is ranked number 3 in the T20I rankings is also no pushover. Having said that, if there is one team that can challenge Pakistan in T20Is today, that team is India. They have an unusually strong batting line-up with some excellent young players but in my view, Pakistan has the edge in bowling. There is a lot of talk about wanting to see these two teams battling it out to see who is really number one, but it really depends on India if they wish to play against us. If they do ever agree, then they can rest assured that Pakistan will be up to the challenge. Last edited by Abdullah719; 15th July 2018 at 21:16. SSA has to be in the ODI squad. It will be a cricket crime if he is not especially with Hasan playing through an injury. Fakhar might be a selfless player, but playing aggressive cricket doesn’t necessarily make you selfless. Afridi was the most aggressive player of all time, but he was also very selfish. Fakhar is also an aggressive player who can do serious damage if he stays for 10-15 overs, but there is no point in calling him “selfless” when there is no evidence to back it up. People throw around terms like selfless and selfish far too casually, without taking into considering the strengths and weaknesses of the players. Just because you are defensive it doesn’t mean you are selfish, and just because you are aggressive it doesn’t mean you are selfless. I think he's selfless, and that comes from his cricket near milestones. I always noticed that Afridi, aggressive though he was, slowed down near a 50 and a 100. Babar is a very extreme example of this. Fakhar doesn't care about milestones, kept going full pelt even near his 100 in the final, got to 50 with a 6 because runs were urgently needed then. It is possIble to be quality player who lifts the team his performance. Perhaps I am harsh, but I feel a good chunk of Pakistan’s cricketers from the 90’s simply lacked the mental fortitude to play the big moments and thought that in order to perform in high pressure situations you have to play without regard for your wicket. One example is he didn't slow down for his 100. He said team gave him a role and he only thought of fulfilling that rule and he didn't really think about his milestones. Your point is reduntant given Arafat clearly states when he says Fakhar is selfless he means Fakhar plays for the team rather than himself. Nothing about aggression. "Fakhar Zaman [...] is a big-match player who has the ability to win games for his country and is a selfless individual with the X factor and who plays for his side rather than himself as we saw many times in the Champions Trophy, last year. This is something inexperienced players can be guilty of when trying to cement a place in the team." Yasir generally comes across well in his blogs. His analysis is insightful and he speaks a lot of sense. Hope he gets a coaching gig with one of the PSL sides- would be interested to see how he does. It is not redundant because I have an issue with generalized, run of the mill statements like “X plays for his side rather than himself” and “Y doesn’t play for the team” etc. Every player who is not involved in match-fixing is “playing for the team”. There is absolutely no evidence that Fakhar is playing more for the team than any other player, unless the other player has a history of match-fixing. If you play for the team rather than yourself, you are going to play according to the situation and team requirements. Attacking when the team requires you to play cautiously and defending when the team requires you to hit out are both the same, since you are playing a game that is contrary to what the team requires. Many times, we have seen Fakhar throw his wicket away by over-attacking. So does he play for himself rather than the team when he plays rash shots? As far as slowing down while approaching a milestone is concerned, it is a normal behavior, and almost every batsman does get a little cautious when nearing a hundred, unless the situation demands you to hit out. Sehwag and to an extent Younis are the only two batsman that I recall who didn’t slow down while approaching their hundreds. The statement that “X plays for the team rather than himself” sounds nice, but means absolutely nothing, and this meaningless term is used in Pakistan cricket more often than any other nation. No wonder why. Anyway, back on fakhar. He is certainly selfless, hard working,goid catcher and decent ground fielder, who is fit and can take quick singles and double them up. Terrific batsman and the best limited overs opener over the last few months. His rise has been a pleasure to watch. Last edited by UN talkz; 17th July 2018 at 17:10. Nowhere did Yasir say Fakhar's aggression makes him selfless. It's okay to admit you are wrong. I am not shifting any goalposts here. I simply stating that Yasir's statement is nonsense because "X plays for the team rather than himself" etc. means absolutely nothing. You are yet to explain what makes Fakhar selfless. It is okay if you don't have an answer. All times are GMT 5.5. The time now is 23:43.